Thor may have become more famous as a Marvel superhero these days, but let’s not forget that the origins of the character are in Norse mythology, and that’s where the Thor Blimey! Pokie from Microgaming draws its inspiration from. With 3 reels, 5 paylines and an exciting bonus round, along with randomly triggered extra features like Nudges, Holds and guaranteed wins, this game has hammers, lighting bolts and longships across the screen, with our bearded, blond star paying out jackpot wins of up to 2000x the line bet. A packed screen greets players who open up this game, with images of Thor and his girl (Mrs. Thor? ), standing behind the game logo, surrounded by details of the Nudge game and backed up by a typically Viking picture of a castle and ship taking up one side of the reels. The reels themselves are centre stage, with a payout table detailing what each winning combination is worth below them and going up the right side of the screen. Prizes come from getting 3 matching symbols across any of the 5 paylines, 3 of which run horizontally across the reels while the other 2 are the diagonals. Underneath it all are the usual Microgaming control buttons which are used to adjust the amount staked per spin. A minimum of 0.10 and a maximum of 10.00 can be wagered, which makes this more of a casual players game rather than one for serious gamblers to try out. The paytable reveals the potential winnings and starts at the bottom with the traditional cherries symbol, with 1 coin awarded for landing 3 cherries across any of the paylines. Next up are the lemons that are worth 2x, oranges at 4x and a red 7 that pays out 6x. Higher value symbols are all unique to this game and based around Thor, with a big mug of beer paying 8x when it lands across a line, the hammer being worth 10x and the bolt of lightning valued at 20x. A Viking longship awards players with 50x and then it’s a big jump in the amount paid out with Mrs. Thor being worth 250x and Thor himself paying the game jackpot of 2000x. 5 1 1 5 Thor Blimey! Thor Blimey! Is packed with bonus features and players can choose some extras after each winning spin by gambling the amount just won in a 50/50 round that involves clicking at the right time to double the prize or the wrong time to halve it. Players can then either collect the new prize or choose to enter a bonus game. This Valhalla Bonus plays out on a new screen where we see Thor standing at the prow of his ship and various Viking characters acting as his crew, while a cute green sea monster even makes an appearance. On the sails of the ship, there’s a Viking helmet surrounded by cash, Nudges, and feature wins, while to the side is a column of prizes given names like Norsey But Nice, Ship Shape, Thor Richer or Poorer and Sven Will I See You Again? Players click a Spin button and hopefully rack up prizes around the sails and the column, but they need to be careful to collect them before they spin up a loser. Assuming a win, the sea monster belches fire and Thor bangs his big hammer around the place in celebration before players are taken back to the main reels to enjoy any features that were collected. 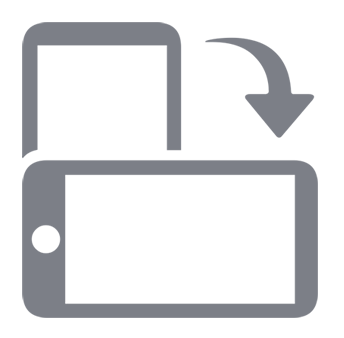 These can include Nudges, where reels can be moved up and down, Holds, where a reel can be locked in place as others spin, or a variety of other extras. 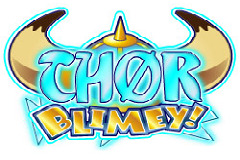 A fun theme and the cartoon style that Microgaming have become so well known for help to make Thor Blimey such a popular game. It’s got some decent rewards in the base game and the 50/50 gamble after each winning spin gives players the option to enter the bonus round which can turn a losing gamble into a winner. The bonus game can be even more rewarding, although the risk of losing any features along the way can be quite high, so players should consider collecting wins sooner rather than later. The fact that this developer are the experts in making 3 reel pokies is just another reason to try this one out.